Did you see Travis Scott and Kylie Jenner's serious PDA moment at the Grammys last night? These two truly deserve a rest today after the weekend they've just had. 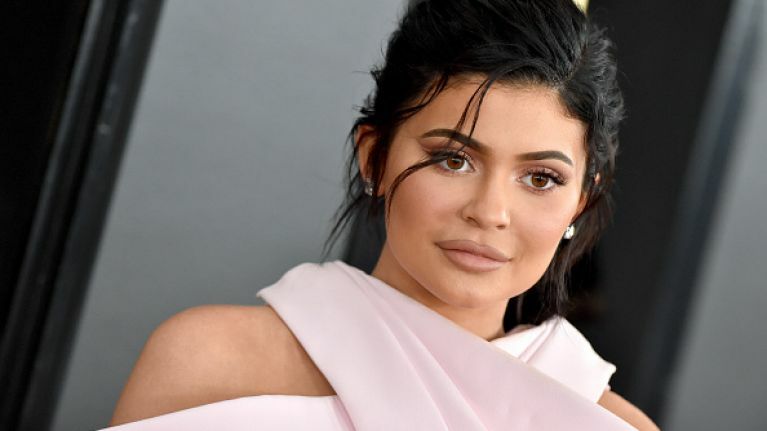 From throwing their one-year-old, Stormi, the most iconic and lavish party of all time, to then partying into the early hours and attending the Grammys the following night, it's safe to say Kylie Jenner and Travis Scott must be absolutely knackered. But, with all the partying, they did arrive late to the Grammys last night and so, many missed this moment of serious PDA on the red carpet. Sharing a full-blown smooch, the pair looked as loved up as ever. For the night, Kylie wore an interesting choice of attire - a millennial pink jumpsuit with attached gloves. And although her outfit choice went down like a lead balloon on Twitter, the red carpet did show that pink is back with various celebs also opting for the shade on the night. Big winners on the night included Dua Lipa scooping up two awards for Best Dance Recording and Best New Artist hailing it as a "night for women". Lady Gaga and Kacey Musgrave too picked up some of the biggest awards on the night with Cardi B making history as the first female to win best rap album. According to reports, Cardi said she shared her award with late rapper Mac Miller, whose family were at the awards.